Benign Prostatic Hyperplasia (BPH), or an enlarged prostate, is the most common prostate medical condition in men over 50. BPH causes the prostate to compress—and potentially block—the urethra, causing difficulty when urinating. Urolift may be just the thing you’ve been looking for to ease your urination. Urolift is a minimally invasive procedure that uses small implants to lift and hold enlarged prostate tissue away from the urethra so that urine can flow freely. During the procedure, your board-certified urologist will place permanent implants to hold the lobes of the prostate apart like a curtain on a window. 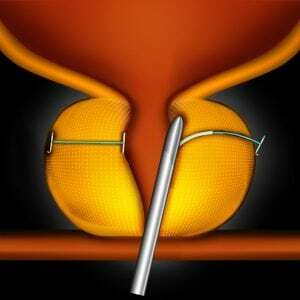 The implants are delivered through a small needle that comes out of the Urolift Delivery Device and into the prostate. The delivery device is then removed while the implants remain in place. Typically, there are only four implants placed during the procedure, and no tissue is removed or destroyed. You will receive anesthesia during the procedure on an outpatient basis. Most men see symptom relief in as early as two weeks. Like all procedures, urolift has some side effects. However, most resolve within two to four weeks after the procedure. When urination difficulties disrupt your quality of life, our team at Urology Care P.C. is here to provide you with high-quality personalized care to ensure your long-term health. Our expert providers will examine you and create a personalized comprehensive treatment plan. To determine whether or not urolift is right for you, please contact us at 520.298.7200 to schedule your appointment.